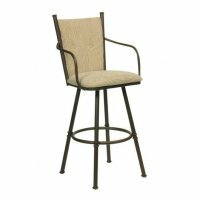 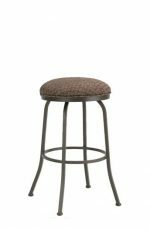 Buy Gilroy Game Room Barstool with Arms & Nailhead Trim - Ships Free! 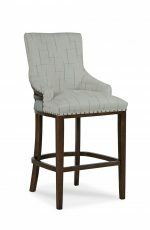 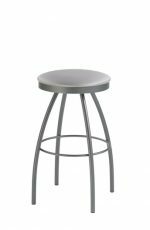 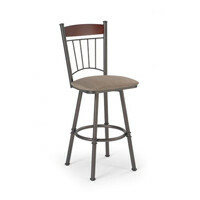 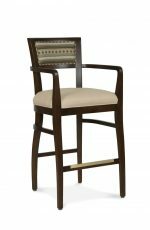 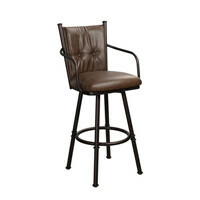 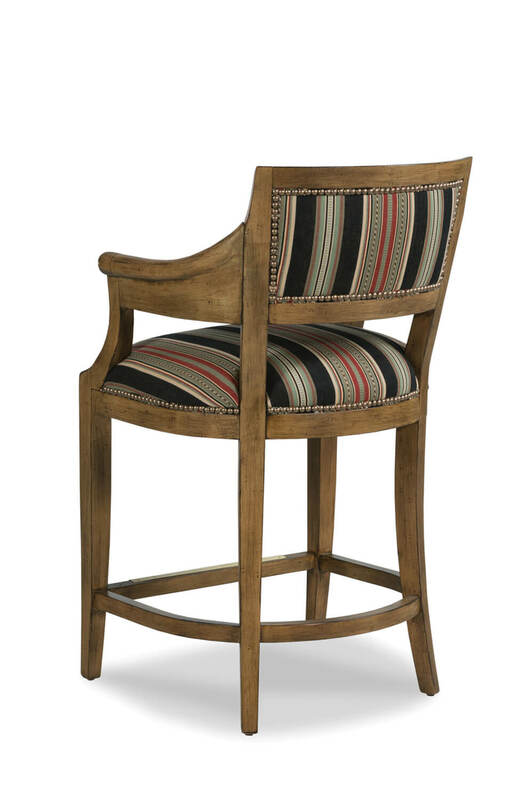 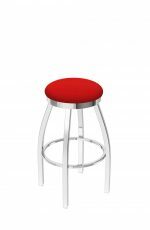 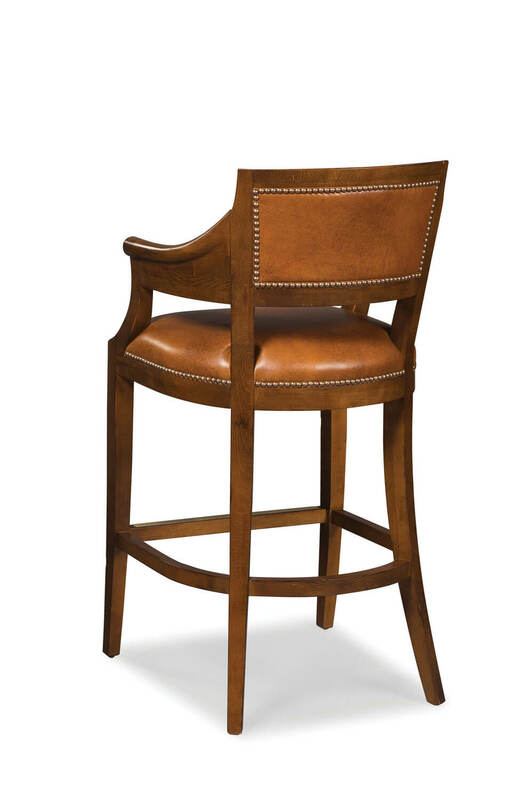 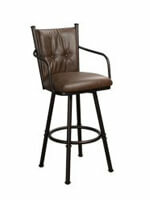 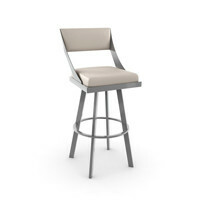 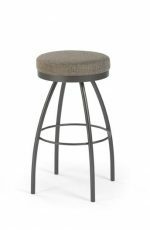 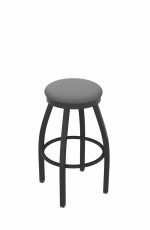 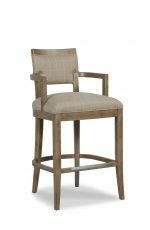 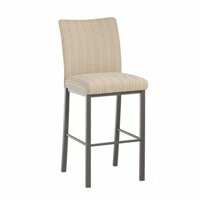 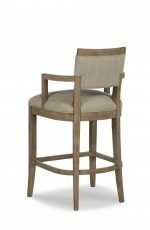 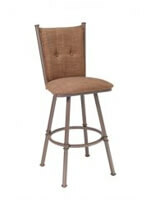 The Gilroy stool by Fairfield is a grand addition to your game room, home bar, or classic kitchen. 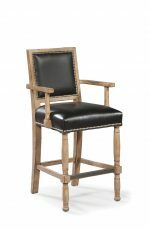 It features an upholstered back and seat framed by exposed wood, shapely arms, nailhead trim outlining the seat and back, and a metal footrest. 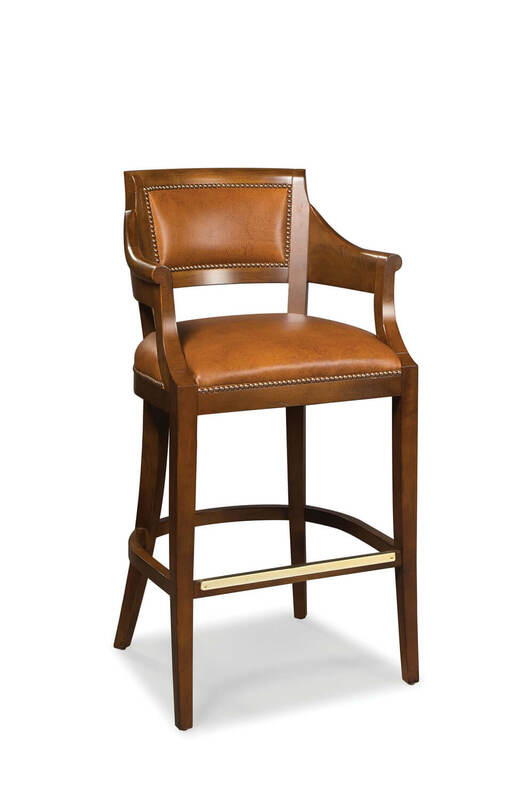 Relax for hours playing cards, sipping on a glass of Hennessy, or conversing with friends for dinner. 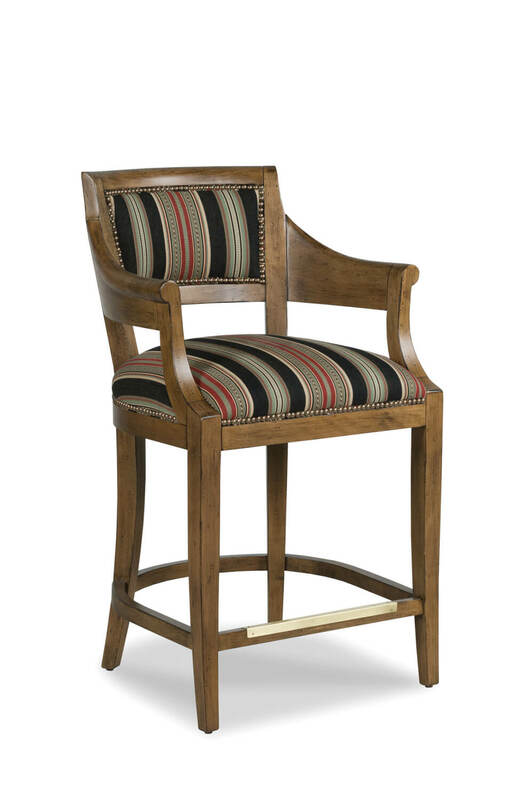 • For the Gilroy Upholstered Wooden Stool with Arms, you will need 2 yards per chair.